New Arrivals for Gist -Three Stand Up Paintings! 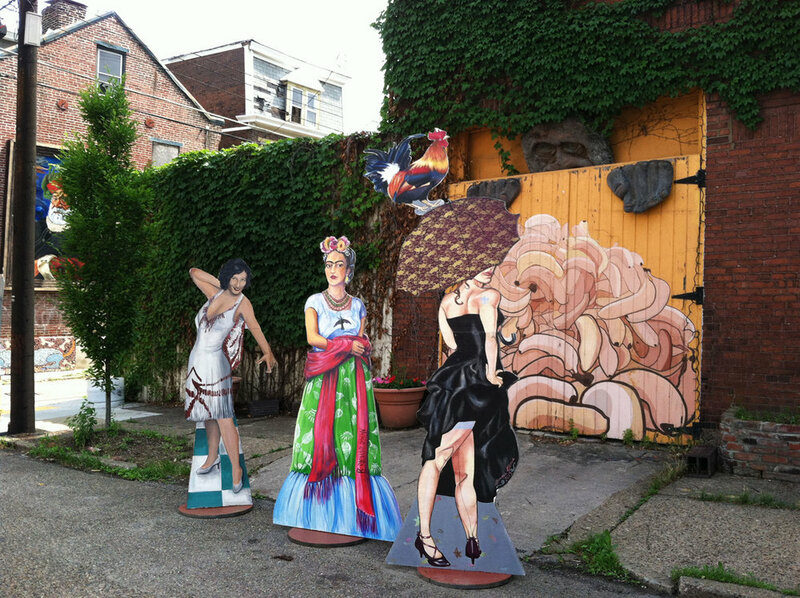 "Frida Kahlo" by Barbara Richardson,"Promenade", by Bonnie Gloris, and "One of Charlie Chaplans Wives", by Alyssa Clifford.The paintings were painted on a water proof board with a metal backing and base, enabling them to be free standing. 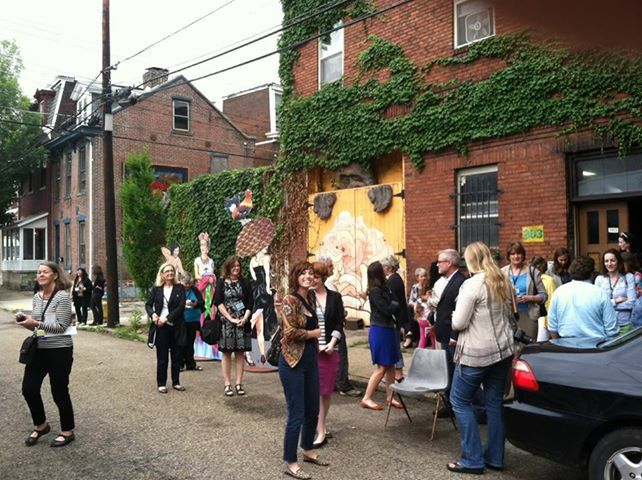 The second image shows the bus tour visit to Gist from " American For The Arts" Conference folks June 2013.